Arby's restaurant is featuring a yummy brisket sandwich that I wrote about. They invited me to be part of this special project in exchange for a little smoking, sharing and honest opinions (which is the hallmark of my blog). The company did compensate me with some funds to cover the supplies needed and the time to take on the Brisket project as well as a meal featuring their brisket sandwich. The basic idea is that I check out Arby's special brisket sandwich and then make my own and see what I think. First, I'll note that I'm in North Carolina which is pork country. 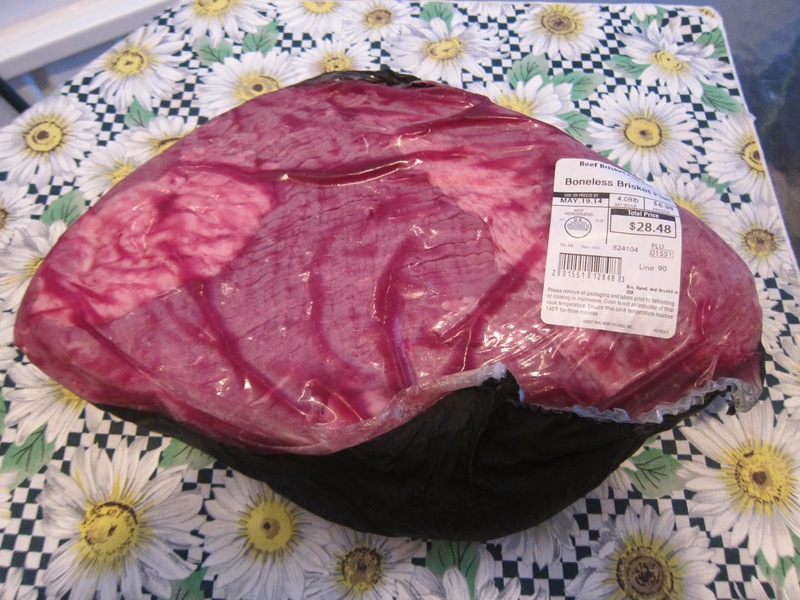 We do get beef steak, burger, and stew beef, but something like a brisket is hard to come by. I found two, and this one looked the best. It is not a premium brisket. The fat cap is not on top. It wasn't on the bottom either. The fat marbling wasn't what I'd hoped for either. But, it's a do-able brisket. I put rub on my brisket and then also a thin marinade. With the lower fat, I felt it needed some extra moisture, plus the marinade is tasty. The brisket sat out for about 20 minutes while I got the smoker fired up. That gave it time to absorb some flavors and to warm up a bit. 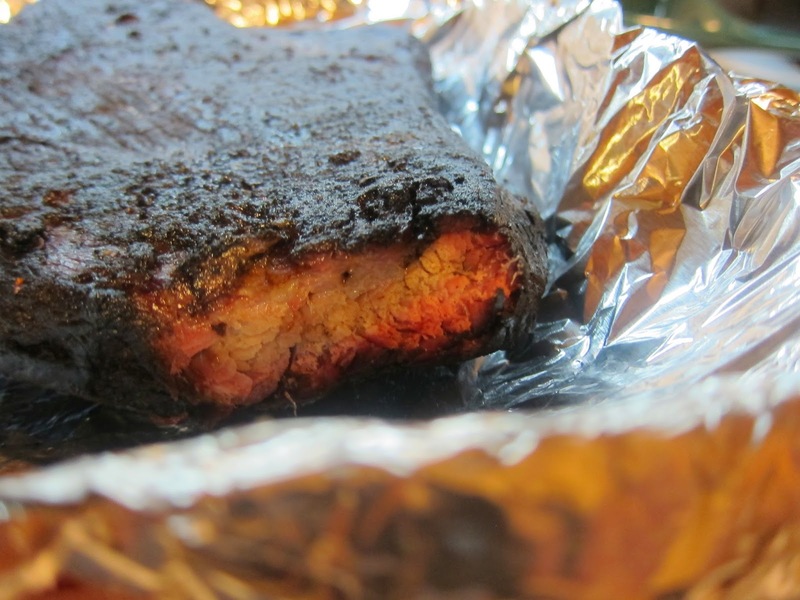 A cold brisket right from the refrigerator will drop your smoker temperature quite a bit. So, it's good to leave it out a short while but not a long time (unless you want bathroom issues). 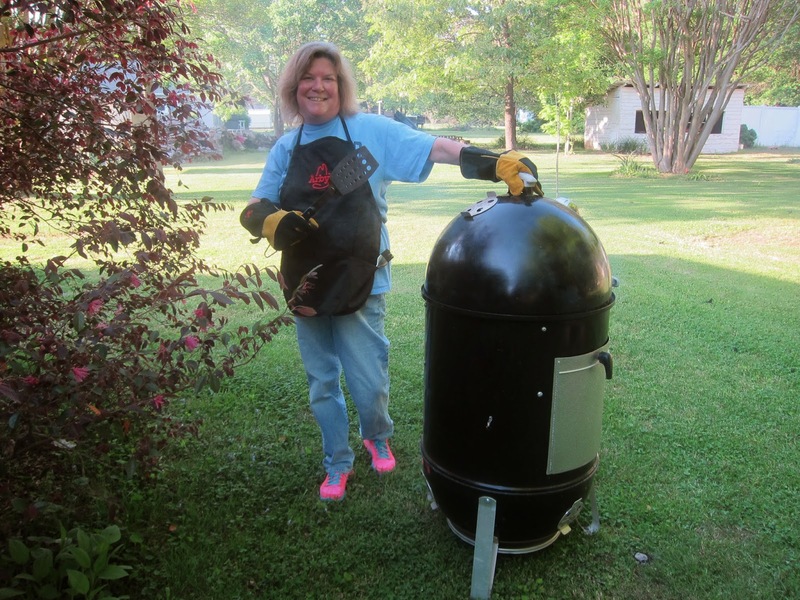 I used my monster turner to get the brisket on the smoker. You don't want to poke holes in your meat when you smoke or grill, or you let out the juices and flavor. I had to take a photo before I put the lid on. You don't want to be lifting the lid every few minutes, or your heat drops. So, I gave it a big smile and let it be for a couple of hours. I kicked back and forced myself not to peek. But, I did watch the temperature. 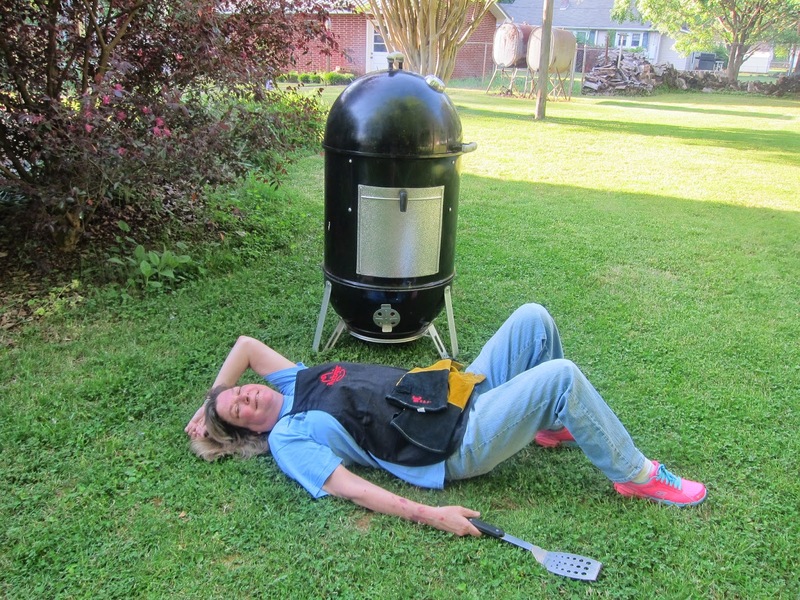 I run about 225 degrees F on a brisket. That's low and slow and melds the flavors and turns out a tender brisket usually. My smoker temperature went below 200 which meant no smoke. That's not good. 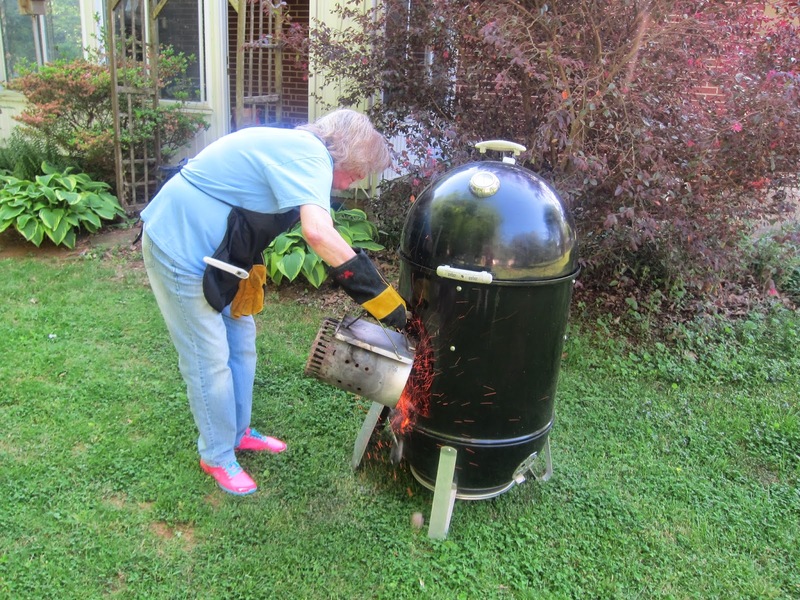 So, I added another chimney starter of charcoal. That got me right back up to smoking temp and more time to kick back. My heat spiked a bit with the new coals, so I waited around to make sure I got back around 225 degrees. Bingo. I really should have rolled out of bed earlier to start a brisket. They take a long time to smoke. Arby's runs about 13 hours on their briskets. Mine ended up in the 12 hour range. 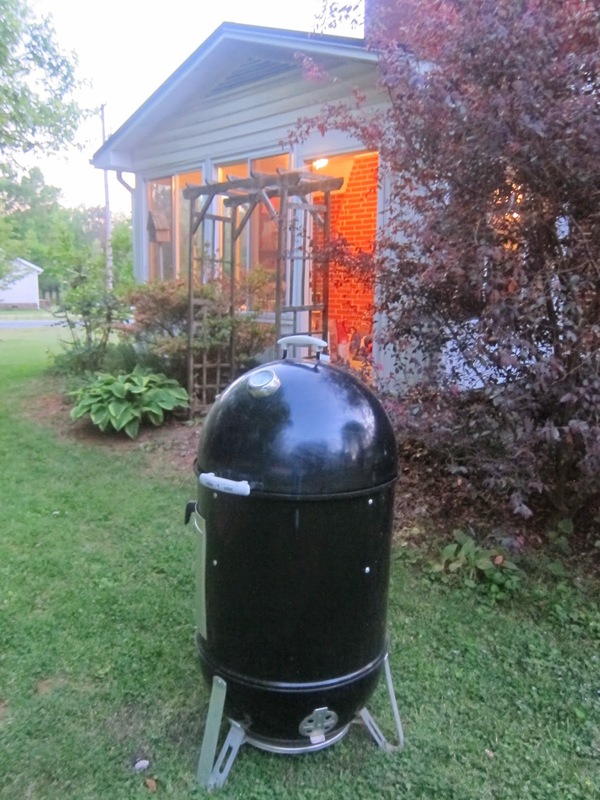 As you can see here, it's starting to get dark which put my brisket ready around 2 am. Yum. Post midnight snack. This was around midnight. I double checked the brisket and then set my iPhone to ring me up in an hour. Unlike babies, briskets do not cry and wake you up when they need checked. I pulled the brisket after the alarm went off and I checked the temperature of the meat - right around 200 degrees. It also was like butter in texture which is what you shoot for. The outside is quite dark. That is a sign of brisket. It's bark and tastes great. The red you see is a smoke ring. You don't get that in your oven. It's a sign the meat was actually smoked. Inside it's soft and juicy. It would have been better if my brisket had been thicker. This is heavy bark and smoke ring for a small cut brisket with little fat. But, you work with what you have in your area. 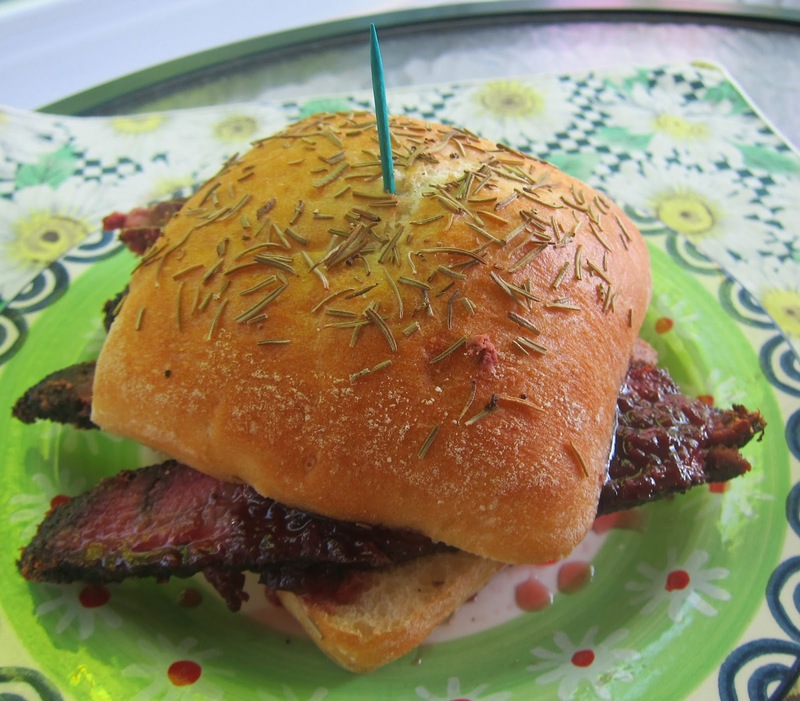 My brisket sandwich is served on rosemary bread given to me by a close friend, Angelia. 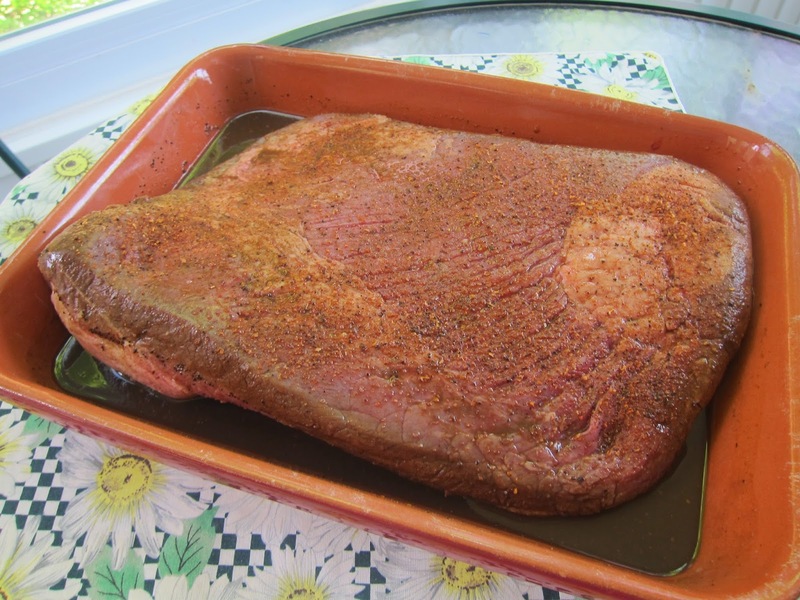 The barbecue brisket was smoked with rub and marinade, and I did add raspberry barbecue sauce but not a heavy dose. Sometimes I doctor up a sandwich with a lot of toppings, but I wanted the brisket to be the star here. Comparing brisket is like comparing apples and oranges. I've never had any two briskets that tasted the same. Mine was a little plainer (and tougher) but with more heat flavor due to the rub and sauce. The brisket sandwich at Arby's was more in the sweet category and also more fully dressed with smoked Gouda cheese and fried onion rings. I enjoyed both brisket sandwiches. One good thing about the brisket sandwich at Arby's was that I did not have to babysit a smoker for 12 hours. That's a lot of time and work. Arby's does the work behind the scenes, and you just walk in and relax and have your sandwich. The nice thing about smoking your own brisket is that you can play around with flavors and hang out with family and friends (especially if you don't wait until after lunch to put your brisket on). 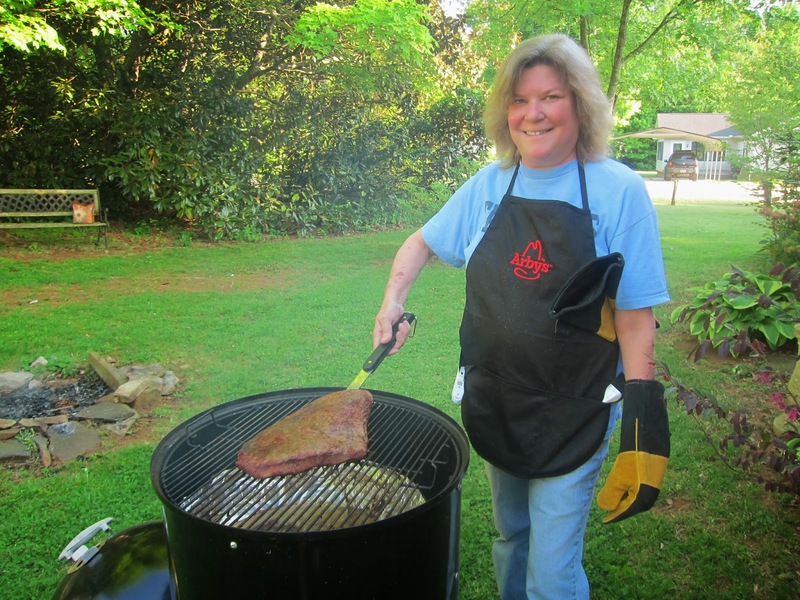 If you want to talk brisket and get more ideas and tips, Arby's will have a Twitter Party on Thursday May 15, 2014 from 8-9 EST. Use the hash tag #BrisketIsBack to catch up with everyone. Hope to see you there. This is a wonderful read - another great article! 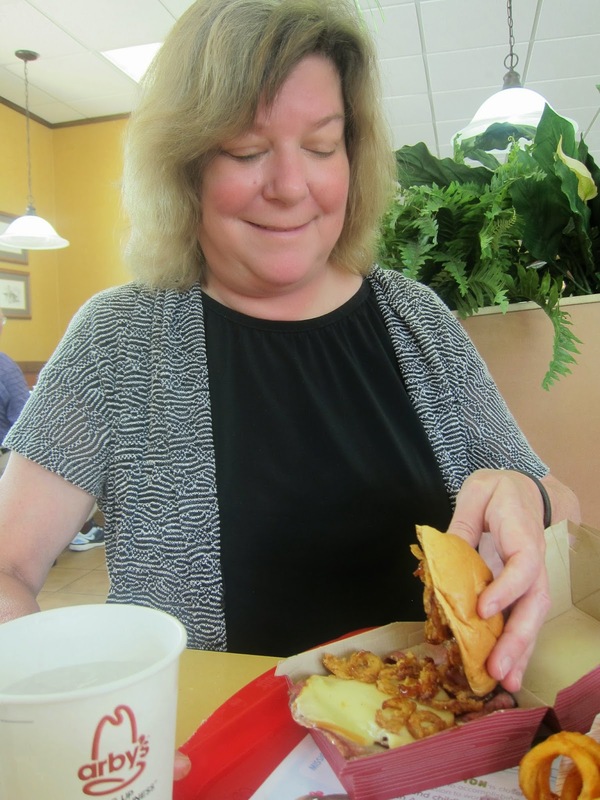 I'm sharing this one on my FB wall, thanks Cyndi for a very enjoyable story about the Arby's brisket challenge! Thanks. It was a long night smoking a brisket but fun. Interesting read. I'm a big fan of brisket and subscribe to Myron Mixon's high & fast philosophy. I smoke my brisket at 325-350 for 5-51/2 hours with at least a one hour rest. Also need to wrap in a big old horse blanket while resting. Brisket is tender with a competition pull, juicy, and oh so delicious. Our grandson is a burnt ends aficionado. Wow, nice piece of meet! Am I missing something here? 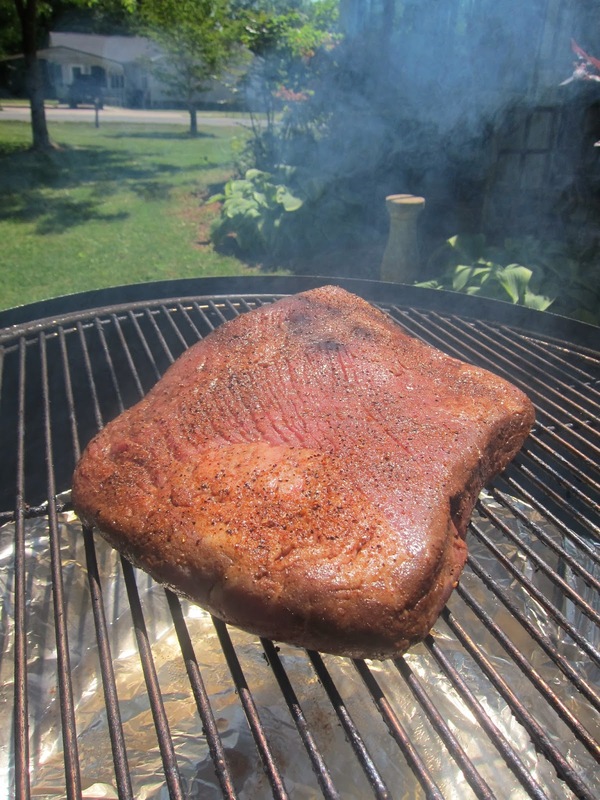 200 degrees seems extremely well done for any piece of meat, let alone a brisket. Could that be why it was tough? 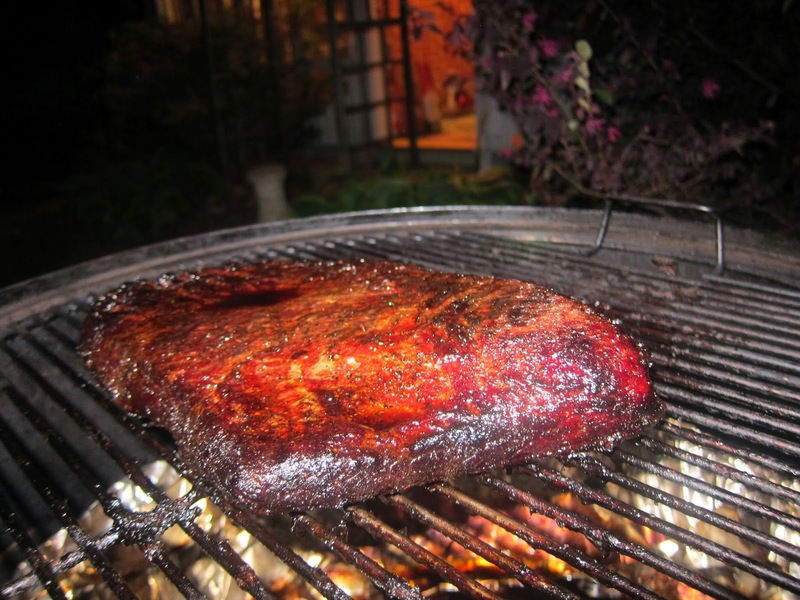 Interesting blog and I really like your work and must appreciate for your work for the Brisket Recipe.